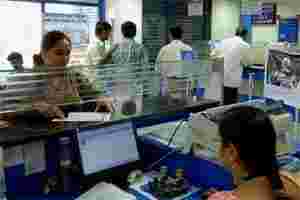 New Delhi: Banks across the world, including in India, are expected to accelerate their debt sell-offs next year for disposal of non-performing loans and to raise the capital, global consultancy major KPMG has said. In India, banks typically consider selling bad loans that have been non-performing for two years or more, primarily to generate liquidity. However, most banks appear to prefer selling older non-performing loans (in excess of five years) in order to reduce their gross NPL numbers and to add to the bottom line. “India’s banks are expected to see an overall increase in non-performing loans ratios in the near future, but ongoing gaps in expectations between buyers and sellers continue to hound the market," the report noted. KPMG said that the debt markets globally will see ‘unprecedented´ activity in 2012. The report noted that banks want to shed non-performing loans in the wake of stringent regulatory and economic conditions, while investors are also interested in purchasing these loans. Overall, the Asian portfolio market is picking up during the second half of the 2011 but at a lower volume than in previous years. The traditionally strong markets of Korea and India have continued to provide portfolio opportunities in the debt sales market during the first half of 2011. KPMG said that sales of distressed loan portfolios in worldwide markets, particularly in Europe, are being accelerated by the sovereign debt crisis and the implementation of national austerity programs. The report said the future implementation of Basel III regulations will increase activity in global debt sales markets as the impact of the regulation becomes clearer.